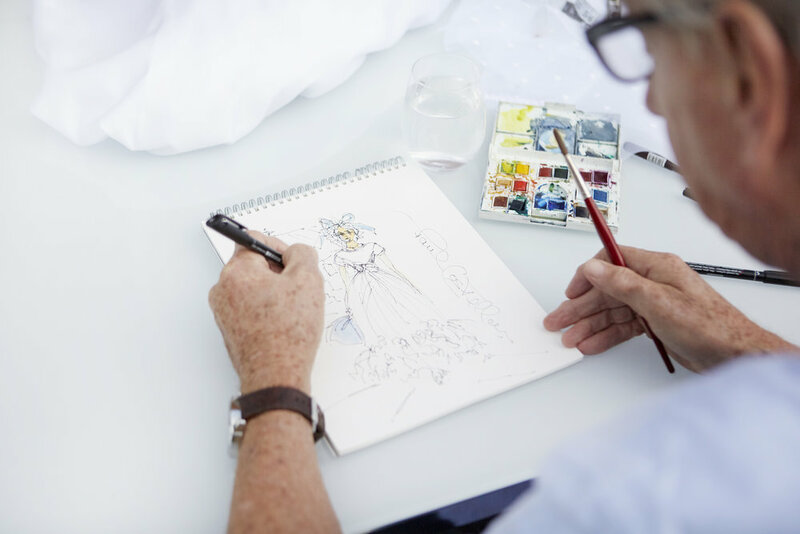 Paul Costelloe launched his Living Collection in 2005 and since then his collaborations with Dunnes Stores have showcased how our taste in home décor and indeed fashion, has evolved and expanded in the past decade. His recent Communion wear range with the brand is a beautiful collection of timeless attire, with something for everyone’s special day. What inspired your new Communion wear range for Dunnes Stores? I find Holy Communion wear is a little like the ballet’ it’s very romantic, fluid and a moment to cherish. Having gone through seven Holy Communion Days with my own children, I know a thing or two about this area! Are people in Ireland keen to stick with traditional looks on the day or are we branching away from this slightly? I still think tradition is definitely the more acceptable for this special moment but being a little adventurous in the styling can only enhance the look. Boys’ clothes were a little bit more casual for a few years but suits are really popular once again; have you noticed how styles change over time and which ones come back year after year? Now that the girls are very much involved in their specific dress, it’s becoming like a debs, so the boys needs to be a little more structured. In terms of First Holy Communion wear for kids, how do you find a line between tradition and what’s on trend? I believe the Costelloe brand emphasises style, tradition and contemporary, which covers all the bases. What would you advise parents to keep in mind when choosing their child’s First Holy Communion dress or outfit? Keep it realistic, make sure they’re comfortable and confident, but not overstated. For lots of people the First Holy Communion is such a big day in Ireland, how does it feel being able to design clothes for an occasion like this? I feel it’s very much a family moment. The Costelloe brand is very much part of that lifestyle. It’s truly a privilege. Your collaborations with Dunnes Stores have been extremely successful, do you enjoy being able to share your designs with a wide range of people? I don’t only enjoy it, I find it hugely rewarding with the feedback I get from so many people from different backgrounds, thrilled that they can buy couture at a reasonable price. This is what it’s all about and long may it continue. How do you make sure your designs stand out? Less is best. Keeping them simple and charming rather than excessively over styled. The wearer needs to be the part that stands out. Irish design is really making its mark both at home and abroad; why do you think this is? It’s a moment for ethical, environmentally friendly, modern style, something that the Irish are very strong at. We succeed in individuality, we don’t follow the masses. How important is it to be an Irish designer on an international stage in 2018? It’s very important and it’s essential to emphasise that particular characteristic. For Autumn/Winter 2018 I used a large number of Irish materials for my launch at London Fashion Week back in February. We have a lot to be proud of as a nation, we must take more advantage of it.